Any thoughts from the forum about newbies and the Model T in 25 years? Will the Model Ts retain their original mechanics and electrics or will that all be upgraded to make life for the new owner easier? Or will the originality be retained by the new owner to enjoy the car as built? As it's been so far, it will likely continue to be both. Electric cars ARE ALREADY REPLACING internal combustion vehicles; it's just that we haven't realised it yet. Batteries are the key. 100 miles range is as much use a chocolate teapot, but when you can RELIABLY do 300, with the wipers and the A/C on, and then charge up in under 30 minutes, they will take over everywhere - except perhaps with followers of this Forum. It will not need government incentives; it will just happen. So why should we care? Because liquid fuel demand will fall away, and if the market disappears, so will the supply - gas stations. We mostly don't need to worry about Low Emission Zones in cities; it's the onward march of progress that will make Model T motoring harder. Nevertheless, I still think we have 20 years before it gets really difficult. This prediction is dated July 25th 2018. Lets just hope in 25 years there'll be ENOUGH interest in Model T's to even keep 'em going, let alone for us old farts to have someone around to buy the damned things! About that time I should be headed to the nursing home and will need the money to pay hopefully 3 months rent!! In 25 years cars will be talking to each other and driving themselves. We will just be passengers! Until then I will let my T continue to talk to me! It alarms me how purist are degraded on this forum. Modifying Model T's is more often encouraged on this forum than discouraged. Admittedly, it is usually bolt on modifications that do not damage original parts, but still....In another generation or two, no one will know what was original and what was not and most won't give a rodent's derriere. And the few that do know will be afraid to speak up. It's already happening. I take my 13 year old daughter to the garage all the time. When she was a baby I used to sit her in the highchair next to whatever old car I was working on. Yes she loves her electronics but she also likes to work on things as well. I'll never forget her comment when she was greasing the front wheel bearings on or 67 Charger. "you mean I get to stick my hand in that grease!" What fun. So let people get in your car, take pictures with it, and let kids get involved. That's how you keep the hobby going. With the advent of higher speed capabilities of modern cars, along with the drop in driver awareness and attention to their driving, due to texting, reading, adjusting the radio, or just wanting to get there faster, combined with the loss of the appreciation for the historical significance once felt for the Model T, which has been replaced with a certain irritation for the slowness and inability for the Model T to keep up with traffic, I feel that the original Model T may one day, be outlawed for safety reasons. I also feel that the owners of all original Model T�s will eventually voluntarily confine themselves to slow backroads and neighborhood streets, as I have, because it is just too dangerous to venture out onto the highways and compete with today�s intolerant and impatient drivers. I know it is difficult to comprehend, but we must all acknowledge that, a very slow vehicle on a very fast highway, especially in the rain or at night, is a traffic hazard. there will be a few young folks interested but as time goes by a 86 Ford Taurus will the best of show at alot of cruise in's. That or a Chevy Citation. I know the same thing was discussed a couple weeks ago as we were working on a couple Maytag washing machine engines.I had to buy a flywheel and it has a much earlier serial number. I was told I should have just parted out the engine as now it is not "correct" although the flywheel is exactly the same part. But at another shop later that week a 12 year old kid was doing most of the work on 1 of his 16 Maytag engines and his dad mentioned didn't he want to go play a video game and the kid said, "I don't even own a game". Now that is the kind of kid you want working on and saving our old stuff.He also has old tractors. There is interest out there in the young folks but it is up to US as the old geezers to present these cars to them out in the open. And hard as it may be, you might have to be open to someone updating to electric start or updating to a led bulb. Keeping the interest in preservation alive is just as important as the cars,engines whatever. What we really need is both - a good stock of perfectly factory correct cars as examples, and plenty of cars made safe to drive the hell out of in public. I'll be 102, so I hope I'll still be able to drive and afford gas. I think Tim is probably right. There will still be folks who strive for authenticity, and with all the information that has become available in recent years they'll be able to do it. Jim, I understand what you are saying, and those things will all be factors. There is one thing I would change in your post, however. I would use the term "modify" rather than "upgrade" as I would not consider the modifications needed to keep up with modern traffic as an upgrade to the original drive train. Essentially one would be creating a resto-rod rather than a restored car. I hope I never see the day when that would be required to drive our Model Ts. Steve, would the original Model T drive train and wooden spokes be able to handle the power, speed and toque generated by a modified engine capable of doing 70mph? One thing that would accelerate my scenario would be if a beloved actor, entertainer or sports figure were killed as a result of rear ending a Model T. By law, the accident is the fault of the rear ended, but it would, nonetheless start a debate on the wisdom of allowing a vehicle that is capable of no more than 35mph, on a highway with a maximum speed of 70mph and a minimum speed of 45mph. Being unable to attain even the minimum speed would probably make the accident the responsibility of the T driver. Jim, I believe you mis-typed. By law, the accident is the fault of the rear-ender, not the rear-ended. I think that the internal combustion engine is here for a longer time at least in aeronautics. I've not seen any electric or battery airplanes. Gasoline will be available if nowhere else, at airports, also, all the farms have gasoline engines running various equipment. as for the lower speed of the T, we would need to also outlaw tractors, ATV's, etc from the roads as they are no faster than a model T. Here in the great fly over area of the USA, I have no problem driving my T except on the interstate. You would think that with all the modern driving aids like crash avoidance etc. there should be no excuse for running up the back of a Model T. The real problem is that people are not paying attention to their driving. There are more distractions built into cars these days and they keep adding more. Add them to the cell phones everyone seems to have to be using every waking moment and there can only be one result. Every now and then my Suburban flashes a message on the screen in the middle of the dashboard ( that is 3 times larger than the screen on our first TV ) telling me that taking my eyes off the road can cause an accident. Well, you have to take your eyes off the road to read it and if you need to be reminded of that you shouldn't be driving in the first place! Got to say Hal Davis, your post about purists made me make me make an account after six months of lurking here as I work on my Great-grandparent�s T. I am 22 and �Purists� are why I almost never got into the hobby of casting bullets and why when I blacksmith, I avoid exhibiting that hobby for anyone other than the Boy Scouts. While am I am going to restore mine to what would look right at the time, putting in a starter even though it did not have one to start (that I know of) does not detract from from what it is, same as using plastic cased coils,since they are enclosed in a box and hardly seen. All that modern high tech BS is part of the problem, not a solution. People will become dependent on it and then drive something without it and be even more prone to an accident. I'm guilty myself. My truck has a backup camera and beeps if you are about to hit something (Funny, it doesn't distinguish between tall grass and a child playing, but I digress). I don't drive it real often but when I do and get used to it then get into my car that does NOT have the alarm. I find myself not paying as close attention to how I am backing as I should be. I also cast bullets and have attempted blacksmithing, but lack the skill. I do own a forge and anvil, though. People badmouth purists, but without them, no one would ever know what a T was ever like originally. My T already is a hybrid: it burns gas AND oil! Well,my t's will have electric starters for sure! The rest I can live with at 35 mph. As for electric airplanes, hybrid planes with diesel generators running electric motors with the props on them are already in testing stages and in use in Europe.Read about it in a magazine 3 months ago or so. "I had to buy a flywheel and it has a much earlier serial number. I was told I should have just parted out the engine as now it is not "correct" although the flywheel is exactly the same part. " That's not logical though. If the people used those parts then their engines wouldn't be correct either. Whoever told you that was clearly an idiot. A short life and a worried one ? I'm sure someone thought about this 25 years ago, and here we still are. Model T Fords are like "witness trees" on civil war battlefields - they were there in the beginning of the 20th century. The awe of something so old never escapes me. In my family there is a story that in the old country there was a village that had a series of disasters. Lack of rain, poor crops, you know the general run of the mill stuff that makes everyone worry and nothing gets done. The elders convened in a tavern and decided that to have people move on with their life in the village there would be one person responsible for every ones worries. Approaching the most frequent tavern visitor, he agreed to worry for every one, with the stipulation he would be paid per head every day to worry. After a period of time the elders noticed the Village Worrier was riding a prize stallion, had a fine ring on his finger, and moved from his hut into a new house in the centre of the village. In Texas.Many vehicles such as MoPeds and community electric cars are now restricted to roads with 35 and under speed limits. Tractors which have a top speed a little slower than Model Ts are still allowed on most roads but most have bright orange/Red triangle placards on them, Front and rear facing amber flashing lights. and if a original model T is rear ended it could be argued it presented a "Road Hazard". Slow speed,Black hard to see, no reflectors,stop lights,emergency flashers,or turn signals.If a model T were held to same vehicle inspection standards as other car's most would be on trailers or in Museums. Purists. have a very important place in preserving the Model T heritage and I have no problem with them. It is when some of them insist on relentlessly attacking any post that mentions safety or other improvements to the car that ruffles My feathers. Fuel may be a problem in the future just like it was for many farmers in remote areas back when the model T was introduced. There was a post here on the forum about a early Model T that had never been registered and returned to the dealer by a farmer who bought it back to the dealer because it stopped running only to find out it needed to be filled with gas. He said he could not find gas where he lived and didn't want to be bothered with carting it in. We may be close to coming full circle. "My 2 Cents Worth maybe less"
I will enjoy main as long as possible...If my wife can't find a buyer for it I told her to use it as a casket. That said I do try to be a good "T" ambassador and freely talk to as many people about them for as long as they will listen. You bring up an interesting point. I'm sure several folks will tell you they are good T ambassadors. So when we are out ambassadoring, do we point out the things that are not original with our cars? For instance, my TT came without a starter and generator, but someone had added them. I can tell it did not originally because it didn't have the right ignition switch/ammeter and had the combo headlight/horn switch and coilbox ignition switch. I point this out to folks. As opposed to the guy next to me at a car show a few years back that had the only other non-bucket T there. He was telling people that his car came with a water pump and distributor and that I must have converted mine over to some weird ignition system. I didn't hear him say it, but that's what a very confused spectator told me. What's worse, he didn't know which of us to believe. It is interesting that marque clubs have high standards for the purist showing their cars. Historic Preservationist for buildings have another set of standards for a property either on or eligible for the National Register for Historic Property. Maybe those who worry about the correctness of their car should adopt a standard similar to the rehabilitation of a building. Or in this case maintaining a historic vehicle. 3. Each property will be recognized as a physical record of its time, place and use. 4.Changes that create a false sense of historical development, such as adding conjectural features or elements from other historic properties, will not be undertaken. 5. Changes to a property that have acquired historic significance in their own right will be retained and preserved. 6. Distinctive materials, features, finishes and construction techniques or examples of craftsmanship that characterize a property will be preserved. 7. Deteriorated historic features will be repaired rather than replaced. Where the severity of deterioration requires replacement of a distinctive feature, the new feature will match the old in design, color, texture and, where possible, materials. Replacement of missing features will be substantiated by documentary and physical evidence. 9. Archeological resources will be protected and preserved in place. If such resources must be disturbed, mitigation measures will be undertaken. 9. New additions, exterior alterations or related new construction will not destroy historic materials, features and spatial relationships that characterize the property. 10. The new work will be differentiated from the old and will be compatible with the historic materials, features, size, scale and proportion, and massing to protect the integrity of the property and its environment. 11. New additions and adjacent or related new construction will be undertaken in such a manner that, if removed in the future, the essential form and integrity of the historic property and its environment would be unimpaired. I just learned I drive a building on evenings and weekends. Thanks George! 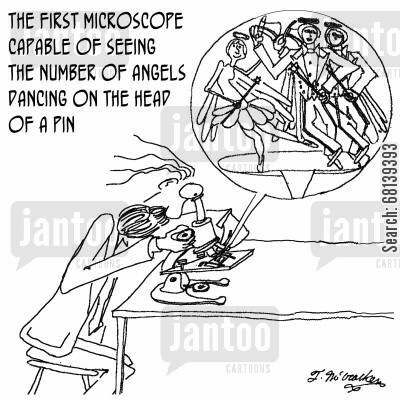 Must be a slow week in PA - all the angels dancing on the heads of pins have been counted. In the Middle Ages, �learned individuals� who apparently had nothing better to do with their time, would debate (endlessly), questions that had no practical purpose - like �how many angels can dance on the head of a pin?� That particular question has since become a means of illustrating any pointless question that has no real answer and serves no useful end. It�s much like the �if a tree falls in the forest and no one is around� question. Some people LOVE posing similar pointless questions on the Forum (largely, I suspect, to "stir things up") and their preferred topics focus on �what is originality� or �what constitutes a �legitimate� Model T� and �the Model TT - first Ford truck or not?� I guess these folks are bored; they should go to their garage, visit their T, turn a wrench and come back with something truly important and edifying that advances the hobby. The time will come when a 23 bucket T with a small block Chevy 327 will be looked upon as an antique Model T that was made into a speedster. Just think about that for a while! The Kingston Trio.."It Takes a Worried Man to sing a Worried Song"
We'll be down where they can't reach us with a plow . . ."
I can hear it now, "Look Dad, a totally original authentic 1923 Ford Model T with a 327 engine, just like new!" There are precious few 35 mph speed limit roads here in sunny SW Florida; none that I can get to without travelling on at least a 45 mph road. I always have a magnetic red flashing light (very bright and noticeable) on the back of my T. So far no problems, but I'm careful to only drive it at times of light traffic. New England was more fun driving the T.
I just received a letter from a cousin who is older than our '25 Canadian Ford 2dr sedan, she also sent a Family Tree that my mom had put together many years ago. I am trying to find the Family Tree of our '25 since it was put together in Canada in 1925. This would mean more to us because it is a part of history the same as our families are. Some of my relatives have replacement parts as a result of life's problems but they are still a part of my history and makes them even more interesting. Just my thoughts. I just read through this & think that Tim Eckensviller & Steve Jelf have the right idea. I have been around antique cars my whole life & clearly remember the past fifty years. The old restorations of the 50's & 60's were full of incorrect parts & bright paint jobs. As the knowledge and technology has improved, I see more correct and accurate restorations. It seems that there will be an opportunity for the correct cars to still operate. It's a separate concern to keep these old Dinosaurs on the road in modern traffic. Speaking of old dinosaurs in modern traffic, I took my original-ish T to work for the first time today! I agree Jim, and I do. I'm presently looking for a better outside mirror. The shaft (such as it is) is too short and I have my choice between a great view of the left side of the road and a tiny bit of what's behind me, or a great view of the back of the top and a wee bit of what's behind me. I also agree that drivers don't watch the road (Florida drivers are especially terrible and it ain't always the geezers). My big green 96 gallon trash container - located well off the road, got punted about 35 feet two weeks ago and I found the remains of one of it's wheels 75 feet away. This was in broad daylight. When the county repair lady came out to fix it (replace the wheel) she said that this happens all the time. Comforting if you are a pedestrian. I think we are closer than we think to that 23 bucket T with a Chev 327 engine looking like an original Model T turned into a Speedster! 3. Each vehicle or automobile will be recognized as a physical record of its time, place and use. 4.Changes that create a false sense of historical development, such as adding conjectural features or elements from other antique or classic vehicle, will not be undertaken. 5. Changes to a vehicle or automobile that have acquired historic significance in their own right will be retained and preserved. 6. Distinctive materials, features, finishes and construction techniques or examples of craftsmanship that characterize a vehicle or automobile will be preserved. 7. Deteriorated production features will be repaired rather than replaced. Where the severity of deterioration requires replacement of a distinctive feature, the new feature will match the old in design, color, texture and, where possible, materials. Replacement of missing features will be substantiated by documentary and physical evidence. Ok. Now open for the critics and purist to comment. Electric two place battery operated airplanes are now being made, two place trainer similar to the Cessna 150. not certified in US by FAA. Model T in modern day traffic at 60 Mph see J leno model T roadster U-Tube video.